Russian cargo carrier Volga-Dnepr Airlines has used one of its Ilyushin 7TD-90VD freighters to move an urgently needed aero engine for Air Caraïbes. 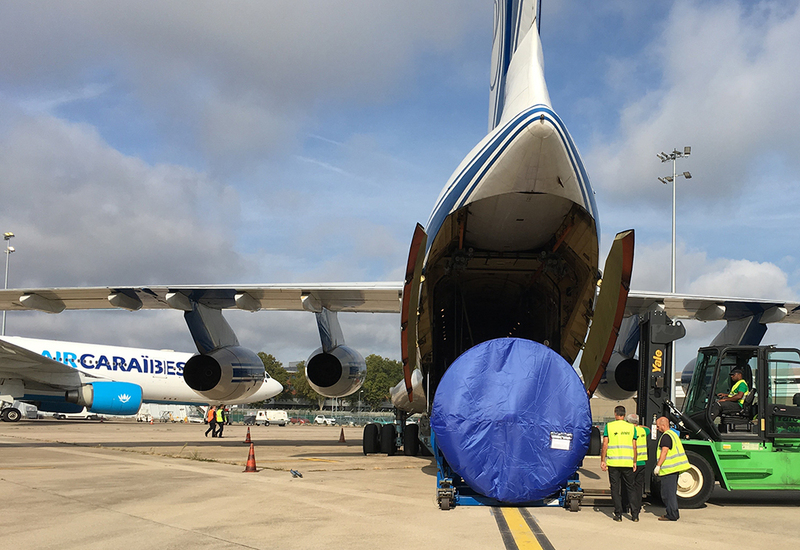 Volga-Dnepr’s aircraft on ground (AOG) team organised delivery of the 3 metre-wide, 8-tonne replacement engine to Paris Orly Airport. From there it was flown to Lajes Airport on Terceira Island in the Azores, where the Air Caraïbes’ Airbus 330-323 aircraft had made an emergency landing due to an engine malfunction. A second Il-76TD-90VD flight transported the damaged engine back to Orly Airport for maintenance works and restoration. The charters came under the umbrella of Volga-Dnepr’s AOG service, launched earlier this year in partnership with CargoLogicAir. Volga-Dnepr Group vice president for sales and marketing Robert van de Weg said: “Being an air cargo operator ourselves, we understand the importance of a timely, effective, and traceable solution for customers facing an AOG situation. “Our 28 years of experience and expertise, as well as our unique freighter fleet, enables us to guarantee the prompt and high-quality response needed in these situations. “We see an increasing demand for our AOG service and will continue to expand the boundaries of our services, embracing new solutions and technologies for the benefit of our customers,” he added. Volga-Dnepr Group subsidiary AirBridgeCargo Airlines (ABC) recently joined the International Airlines Technical Pool, which aims to streamline maintenance pooling activities during AOG situations. Between them, Volga-Dnepr Airlines and ABC have carried out approximately 800 deliveries of aerospace equipment this year as well as providing over 15 charter flights in response to AOG events.